I have this amazing Williams Sonoma cookbook in my kitchen that is used for "decoration" purposes. I have never actually looked through it...until the other day. The soup section was impressive and I am so in the mood for this Tuscan Tomato Soup recipe that I found. By the way, am I the only person who thought Williams Sonoma was a famous Chef who opened up the William Sonoma stores? Haha most likely I am alone on this one. 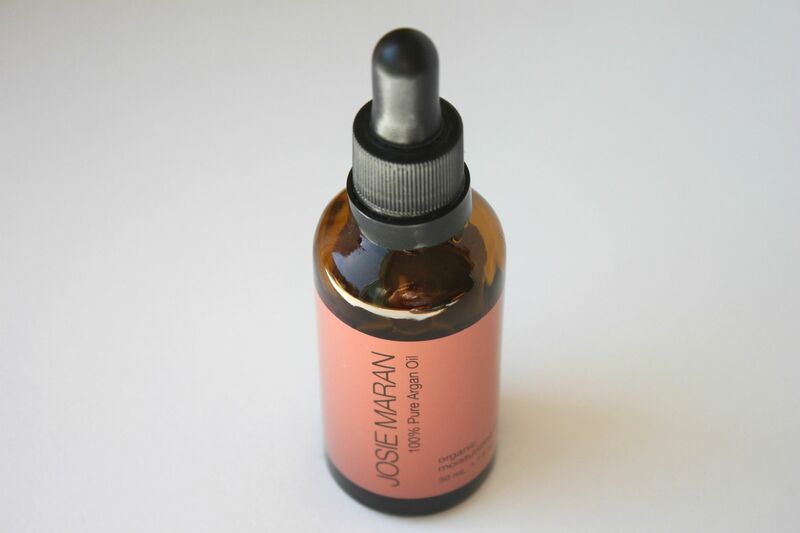 Josie Maran 100% Pure Argan Oil. This stuff is absolutely amazing. Loose leaf tea is my favorite. There is this adorable little shop by my house that has the best teas I have ever tasted. I always order coconut banana and it is delicious! Their motto is, "Sniff, Select, Sample." Enjoying some pumpkin pie frozen yogurt. Happy Friday! Any fun plans? Haha, love your "theory" on Williams Sonoma, that's awesome! But totally would make sense, I see where you're coming from. Those roasted pumpkin seeds look yummy! Williams Sonoma, Tea Shops, and Frozen yogurt combined into one trip sound like The perfect day. We have two of the cutest tea shops ever in Salt Lake - one is just stuffed with vintage furniture and decor everywhere and the other is very minimal-meets-anthropologie. I wish I could live in either of them! we must add those blue eyes to list. Frozen yogurt,....mmmmmmm. Froyo! So amazinggggg :) Your little stud is too cute! I can't wait to bake pumpkin seeds!! Mmmmm... Pumpkin frozen yogurt... I forgot that was on my to-do list for the day... Thanks for reminding me... haha! Yummmm, pumpkin pie frozen yogurt! That sounds delicious. I love William Sonoma cookbooks. My mom has a huge selection of them, I love going through and looking at the pictures/recipes! Have a great weekend! love salted & baked seeds! I just baked some pumpkin seeds last night! delicious! my goodness, those cheeks are too pinchable! adorbs. pumpkin seeds! yum. i absolutely love a great tomato soup. it's been a staple for me since i was a child. i'll have to check out the WS cookbook! happy friday lady. I won a bottle of Josie Maran Argan Oil for a giveaway and I LOVE it! What do you use yours for? Little man is so cute I can't stand it!! I looove baked pumpkin seeds and cannot WAIT to do mine this weekend!! 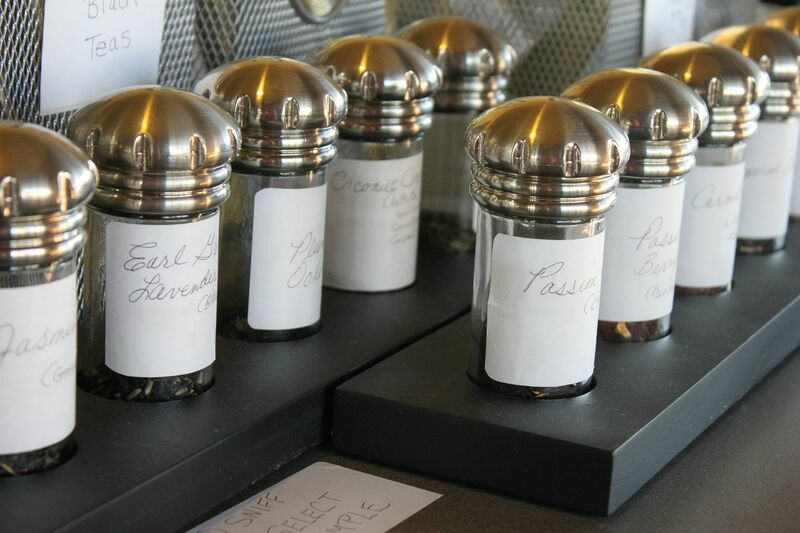 Tonia- What a great gift to win in a giveaway! I use it on my face. I LOVE it. It makes my skin feel so soft and does not leave you feeling greasy like you think oil would. I would devour those seeds right now! And I love the Josie Maran skincare line! I've tried her moisturizer, I guess I'll have to buy the Argan Oil next. Thanks for the tip! i love pumpkin seeds! can't wait to carve pumpkins this weekend and make some! Wow all of these things make me say "yay" to exceeeept the pumpkin seeds. I have a confession. I've never had them before!!! Can you believe that! I'm going to try some this season though, I promise lol. Seeds are a staple in my house right now - butternut, pumpkin, acorn... I'll toast anything! LOL! Love that tea shop. These jars are great! I can't wait to roast pumpkin seeds! And how sweet is that last picture. I love the yogurt dripping out of his mouth. Simply adorable! Mmm love frozen yogurt! Have a great weekend. 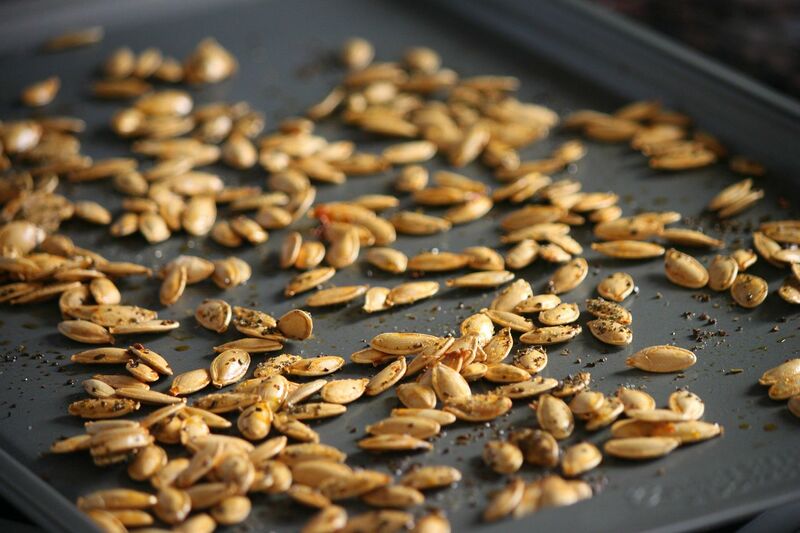 How do you bake your pumpkin seeds? I typically just add salt, but yours...they look extra flavorful! Yum...fresh baked pumpkin seeds! 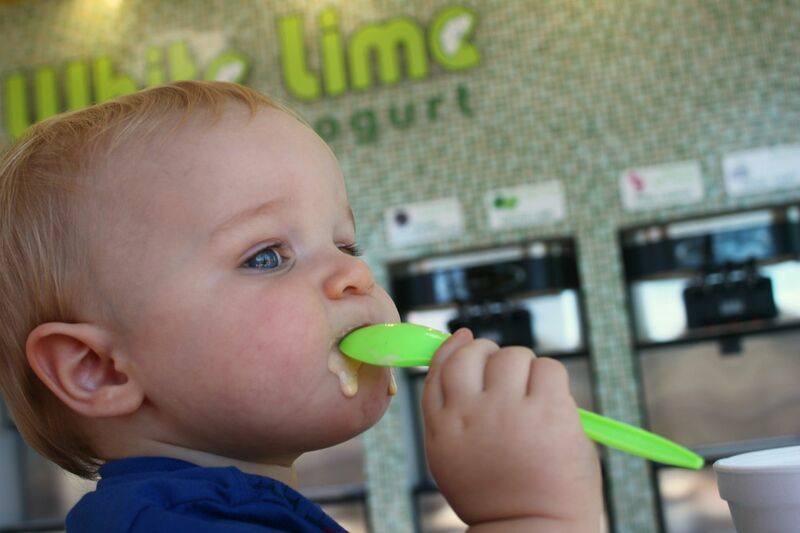 What an adorable pic of your little one. I wish I had pumpkin seeds to snack on right now! I love pumpkin seeds too. Have a great weekend! I want to go to that tea shop! It looks so cute and I love their motto! 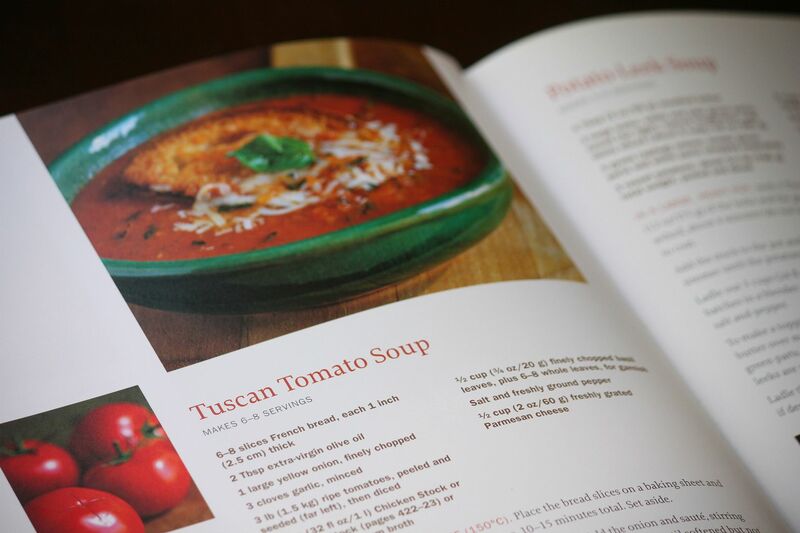 Please make that Tuscan tomato soup and let us know how it is :) Have a great weekend! I think little Max is starting to look a lot like you now Lindsay. (Sorry Ian! LOL) so cute. Gonna have to make pumpkin seeds, it's been years. Makes me think of my Mamma ; ) Question on the Argon oil, does it make you oily or break you out ever. I always use oil free products so I'm not sure it would work for me but I've heard great things. Pumpkin pie frozen yogurt? Um yum!!!!!!!!! LOVE all of those things... pumpkin pie frozen yogurt (delish! ), pumpkins seeds (mmm! ), WS tomato soup (okay I'm actually with you on this one! ), and that tea store (I want one by my house!!!). Those pumpkin seeds look so good! Actually, pumpkin anything sounds pretty good. adorable photo of your baby! Oh man... coconut banana.. droool. I know this sounds really weird but you can put a lot of weird stuff in egg white omelets. They're versatile like pancakes. I used to start off every day with one and I quickly grew bored with the usual cherry tomatoes + mushrooms + onions so I started experimenting. The best... the ABSOLUTE best was putting slices of frozen banana on top of the finished product with some coconut sprinkling (and 5-10 chocolate chips baked in). Like a crepe kinda. Anyways, I'm hoping to make pumpkin seeds this weekend and yours look real good! What spices do you put on it? Pumpkin seeds! Heck to the yes, I'm obsessed with those things. The best is when you roast them with cinnamon sugar. YUM. Also, your boy is pretty much the most adorable thing ever. Love those cute chubby cheeks! Yum - I can't wait to carve pumpkins so I can bake some pumpkin seeds. I've heard amazing things about Argan Oil and your son is just too adorable. Always enjoy your yay posts, love the last shot, looks like the best advert for the frozen yogurt, and argghh...it's making me hungry on a monday morning. I've never had baked pumpking seeds. I could definitely go for some tomato soup!! YUM! Heck ya! Pumpkin seeds are fantastic! !